On behalf of National Taxpayers Union (NTU), I write first to offer our profound gratitude to you for scheduling today’s markup of H.R. 1957, the Taxpayer First Act of 2019. Oversight Subcommittee Chairman Lewis and Ranking Member Kelly likewise deserve special recognition for continuing their bipartisan work on this legislation, which is a top priority for NTU. We proudly support the legislation you are now preparing for floor action. As you may know, NTU helped to organize the very first coalition of advocacy groups representing diverse communities in support of the Taxpayer Bill of Rights, which became law in the Technical and Miscellaneous Revenue Act of 1988. Nearly 10 years later, NTU’s then-Executive Director was appointed to the National Commission on Restructuring the IRS, whose recommendations became the basis of the IRS Restructuring and Reform Act of 1998. More recently, in 2015, 2016, and 2017, I have had the honor of testifying before your and other committees on tax administration issues such as dispute resolution and small business compliance. NTU is also a member of the Coalition for Effective and Efficient Tax Administration, a consortium of entities concerned with improving IRS examination procedures. Last year, NTU led a coalition of 11 organizations urging enactment of H.R. 5444, the Taxpayer First Act. Today, thanks to strong leadership from both sides of the aisle, solid legislation informed by decades of experience with the laws mentioned above now has an excellent opportunity to advance to a floor vote. Last year, NTU provided comments both on H.R. 5444 and a subsequent iteration of this bill contained in a package that passed in December of 2018 (H.R. 88). In the hope of assisting Committee Members with their deliberations, NTU wishes to respectfully offer the following comments on various sections of H.R. 1957. 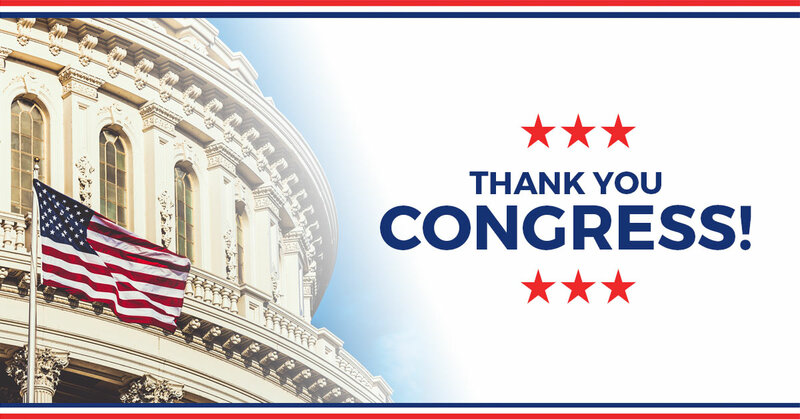 While we continue to support a host of tax administration reform measures, we clearly understand and agree with the intent of your current effort: to pass bipartisan legislation in this Congress where there is consensus on key areas of tax administration that must evolve now. The following sections (and potential modifications) are the most important elements of the bill to NTU, mostly in numerical order; owing their lengthy discussions, however, Sections 1001 and 1302 merit a longer explanation, below. Section 1102, making the IRS Free File program permanent. This outstanding success in bringing more filing assistance to moderate- and middle income Americans has saved taxpayers billions in administrative overhead through a public-private partnership. Section 1103, making offers-in-compromise more accessible to low-income taxpayers. Opening up this process can not only help taxpayers remain financially self-sustaining, it can also save government enforcement dollars in the long run. Sections 1201 and 1202, finally codifying the Clyde-Hirsch-Sowers RESPECT Act and providing remedies. Section 1203, allowing for de novo reviews of innocent spouse claims. NTU was the first citizen group to call attention to this ongoing issue some 30 years ago; it is vital to update the laws for changing circumstances. Section 1204, modifying “John Doe” summons procedures. Section 1205, revising the private debt collection program. NTU is a strong supporter of enlisting private sector expertise for public sector challenges, but unfortunately, this initiative has suffered from operational and implementation problems. The remedies proposed here are practical and necessary. Section 1401, cementing the VITA program matching grants with a permanent authorization. While NTU is normally hesitant about permanently authorizing any federal program owing to the tendency for irregular oversight, this program can and should continue to exist as long as the need for filing tax returns does – a long-term proposition to say the least. Section 2001, harnessing a public-private partnership to address identity theft, and subsequent sections 2002 and 2003 to incorporate ETAC recommendations and encouraging Treasury’s participation in an information sharing and analysis center, all hold promise in finally bringing this pervasive problem under control. Section 2007, providing a single point of contact for identity theft victims. Few experiences are more frustrating to taxpayers than to feel their case is lost in the impersonal bureaucratic machinery. Section 2101, codifying the role of the IRS Chief Information Officer. When it comes to information technology, the IRS has often proven itself to be far behind the development and implementation curve. Creating a CIO will not change this culture overnight, but the agency’s technology must be prodded in every way possible to finally, fully enter the 21stcentury. Section 8 (a) would have provided for an expanded and better defined Alternative Dispute Resolution (ADR) mechanism for small businesses, which could be extended to individual tax filers with relative ease. We also recommend that the Committee consider ways of providing independent counsel for the new Chief of Appeals, rather than fostering reliance on the Chief Counsel’s Office. Attempts to build firewalls, such as prohibiting Chief Counsel staff with involvement in a particular case from rendering advice on that same case, may prove difficult to enforce or discern in practice. Furthermore, the public perception of Appeals independence would suffer. NTU encountered these same issues when arguing on behalf of establishing independent counsel for the Taxpayer Ombudsman (and later the National Taxpayer Advocate). Establishing greater accountability for IRS procedures to designate cases for litigation (Section 605). In September 2017 I testified before the Ways and Means Oversight Subcommittee that the IRS’s examination tactics surrounding designated summonses, designating cases for litigation, hiring of outside counsel, and other prerogatives consisted a major worry for taxpayers, owing to the historical tendency of tactics developed in one division of the IRS to be applied in other situations. Such is the case now. Enacting the sections of S. 3278 outlined above would furnish preventative protection against the spread of practices that future Congresses will be forced to clean up. We understand all of these considerable changes may require debate outside of today’s markup process. Finally, we would urge a minor revision to Section 1001 (a)(2)(C) regarding qualifications of the Chief of Appeals. In our research on tax appeal offices and mechanisms throughout the world and among U.S. states, successful mediation outcomes are driven more by personnel with skills in dispute resolution than technical knowledge of tax laws and compliance issues. Granted, the former attributes are important, especially in our complex federal tax system. Yet, listing “Resolution of controversies on an impartial basis” among the qualifications, as a previous version of the Taxpayer First Act did, would send an important symbolic message to taxpayers and tax professionals. Section 1302 – IRS Restructuring. We understand and deeply appreciate the opportunity for fundamental change in the structure of the IRS that this provision can bring about. While the legislative language leaves open a number of exciting designs such a structure could take, we would urge caution against drawing a premature conclusion that the older geographically-based organization of the IRS was superior to the one envisioned under the IRS Restructuring and Reform Act of 1998. We know something of the difficulties surrounding the geographic model, from taxpayer “horror stories” in the 1970s and 1980s as well as complaints from IRS personnel in the 1980s and early 1990s. The deliberations of the National Commission on Restructuring the IRS, with which our Executive Vice President served, experienced firsthand the problems associated with “turf-building,” rogue behavior from managers, and lack of standard procedures toward taxpayers that had built up for decades under the old revenue district structure. The Committee’s current summary of the bill is commendably non-judgmental about the desired outcome of Section 1302’s process, for good reason. Congress could instead consider creating a new entity whose function is to coordinate inputs from various sources and hold IRS leadership publicly accountable for progress on taxpayer rights. During a July 18, 1991 hearing of this Subcommittee, H.R. 2472 (102nd Congress) was mentioned as a way of creating a “monitoring group” that would have consisted of two appointees from the House’s oversight Subcommittee, two from Senate’s equivalent, two from private life, and two from the IRS Commissioner. The group was to receive information on taxpayer rights issues and ensure that the IRS Commissioner annually reported on means of resolving them. Perhaps this structure could be modified (to include the National Taxpayer Advocate in place of one of the Commissioner’s nominees) to fit current needs. This matter may not be expedient to consider during today’s markup, but we call your attention to it now for possible future action in concert with the Senate. NTU will be honored to render all available assistance and support toward ensuring that the most robust possible iteration of the Taxpayer First Act is signed into law this year. We salute you for your thoughtful, compassionate, and collaborative approach. Working together, we will succeed in creating a better experience for taxpayers.